I'm just returning from a busy week creating energy exhibit prototypes with students in the Little Haiti section of Miami for a project with the Miami Science Museum. I'll post a more detailed report about our Energy Prototypapalooza later this week, but for right now I'd like to give a shout-out to the people who provide the energy education products from KidWind. 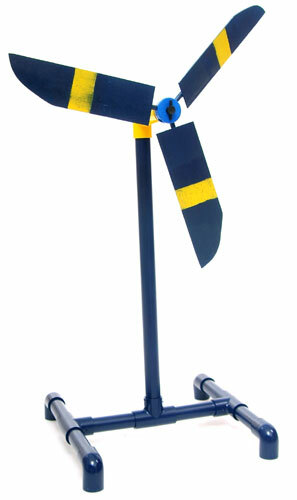 Combining the specialized KidWind energy parts with more typical hardware and office supply store materials for prototyping worked out really well for us. So if you're looking for some materials to create renewable energy projects or if you just need an excuse to do a little tinkering with solar panels, wind turbines, or generators click over to the KidWind website right now!